London's stock market rallied Tuesday to a new two-month peak, supercharged by a Brexit-hit pound and energy giant BP's surging annual profits. The FTSE 100 index rose just over two percent, with increases in other European indices not far behind. Wall Street built on the previous day's gains ahead of US President Donald Trump's State of the Union address. Sterling sank on news that activity in Britain's dominant service sector almost ground to a halt in January, as companies fretted over the nation's looming departure from the European Union next month. The weak pound boosted the FTSE 100 because the benchmark index features large multinationals earning in dollars and euros. "Results from BP and a weakening pound have propelled the FTSE 100 to a fresh two-month high," said IG analyst Chris Beauchamp. "Equities around the world remain in robust mood," he added. The IHS Markit/CIPS UK services purchasing managers' index fell to 50.1 -- its lowest level in two and a half years -- down from 51.2 a month earlier. A reading above 50 indicates growth. EU president Jean-Claude Juncker will host May for talks in Brussels on Thursday as the two sides seek to save their Brexit deal. Tuesday's services data followed disappointing manufacturing and construction numbers, with analysts declaring that warning lights were flashing. "A third consecutive data point from the UK in as many business days has flashed a further warning sign for the economy," said XTB analyst David Cheetham. "The latest purchasing managers index for the service sector -- which due to its relative size is considered the most important -- has fallen to its lowest level since July 2016, the month after the EU referendum. 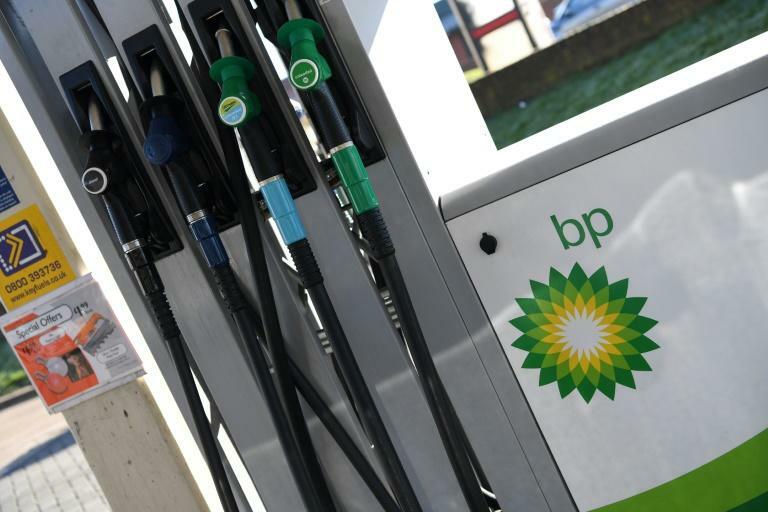 In company news, British energy giant BP topped the FTSE leaderboard after revealing that annual net profit almost tripled to $9.4 billion (8.2 billion euros) last year as oil prices soared. Shares jumped more than five percent. Wall Street, meanwhile, enjoyed another positive day, boosted by another good performance by large tech names and Boeing, which advanced 3.3 percent after confirming it would lift production of its wide-body 787 aircraft to 14 per month from 12. The gains came ahead of Trump's big address to Congress at which the US president is expected to emphasize infrastructure spending and argue the need for a wall along the Mexican border after a dispute with congressional Democrats shut the government for more than a month.